Master of Cruelties ($3.98) Price History from major stores - Dragons Maze - MTGPrice.com Values for Ebay, Amazon and hobby stores! 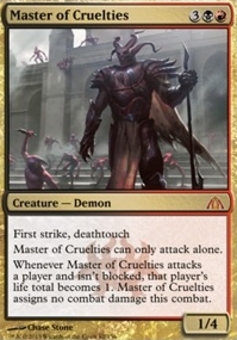 Card Text: First strike, deathtouch Master of Cruelties can only attack alone. 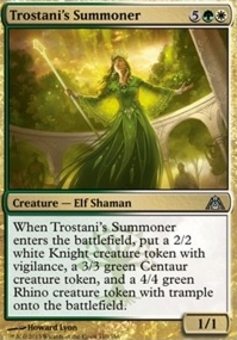 Whenever Master of Cruelties attacks a player and isn't blocked, that player's life total becomes 1. Master of Cruelties assigns no combat damage this combat.